What you see is what you get with the 2019 Volkswagen Golf R — and that’s a very good thing. Volkswagen expands its portfolio of outstanding vehicles with this capable sedan. 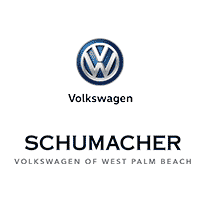 With the benefits of this vehicle just waiting for you to enjoy, it’s time that you came down to Schumacher Volkswagen of West Palm Beach to view our great selection of Golf R trims. Arrange your own test drive in West Palm Beach with one of our staff today.